Kinetrix business philosophy is based on the belief that to create ‘Efficient’, ‘Growing’ and Sustainable' organisation senior management need to view the organisation in an holistic manner assessing and potentially redefining all parts of the enterprise from strategy formulation to operational design However to ensure that these changes are efficient, sustainable and contribute to the growth of the business they have to be built on a foundation using the tools and frameworks that incorporate at the heart of it GRC principles. Driven by increasing business complexity heightened regulation, emerging risk exposures and reacting to	changes in the business cycle has resulted in the need for organisation to become agile and responsive to	the dynamic business environment. Kinetrix Business Philosophy is based on the fact that prevailing business imperative to all organisation is the need to build or use GRC tools and frameworks in order to create an Efficient. Growing and Sustainable Organization. Kinetrix through its focus on professional excellence, client driven approach and independence is able to deliver a front to back service offering from Strategy to operational formulation built on Governance Risk and Compliance Frameworks. The KINETRIX Philosophy In assisting businesses throughout the business life cycle is built around three core values. Growth - Providing a platform for belter defined strategies, understanding of the market, articulated vision. measurement of success and failure, capitalizing on opportunities and expansion into new markets and products and services. Efficiency Governance and Board Structures, rules/policies/procedures development, risk & compliance assessment and programs, international best practice benchmarking and comparative analysis behavioral development are core to a business s success. 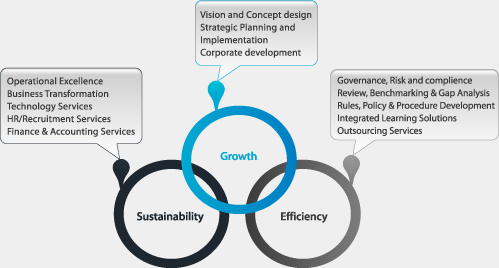 Sustainability helping an organisation consistently develop to maintain or achieve its objectives by enhancing its operational environment, process re-engineering, automation and behavioral development.